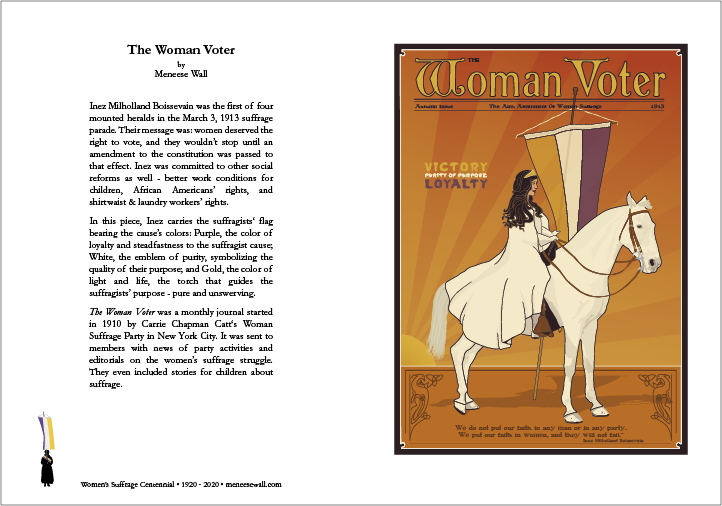 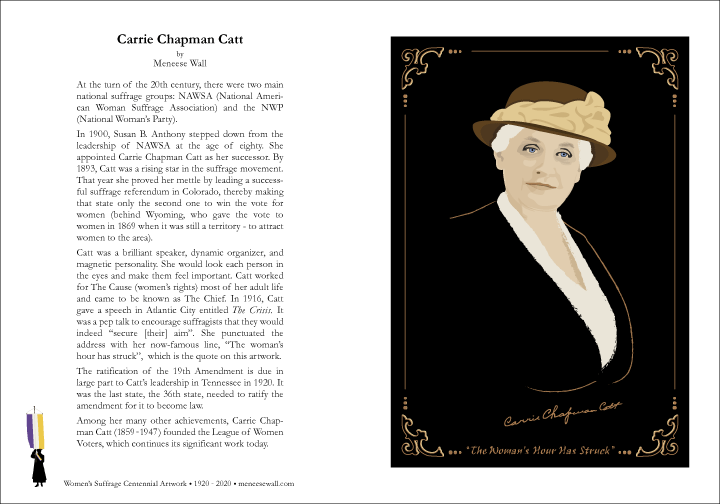 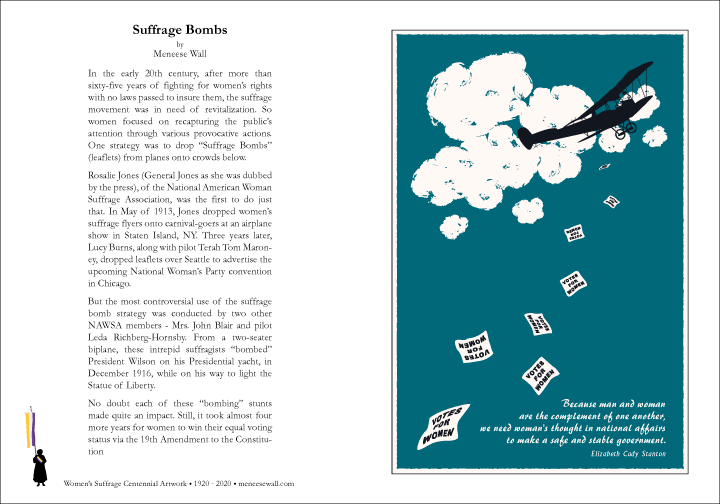 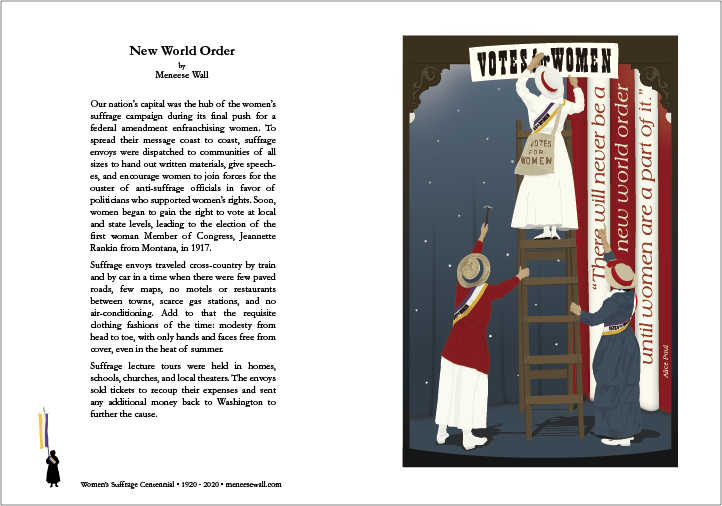 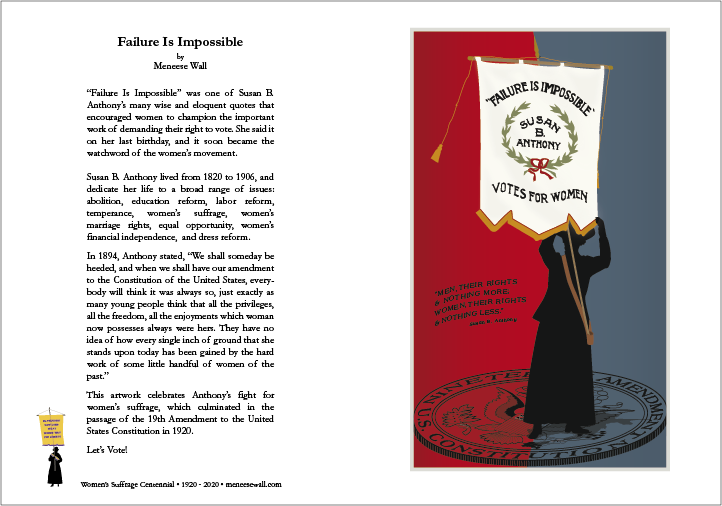 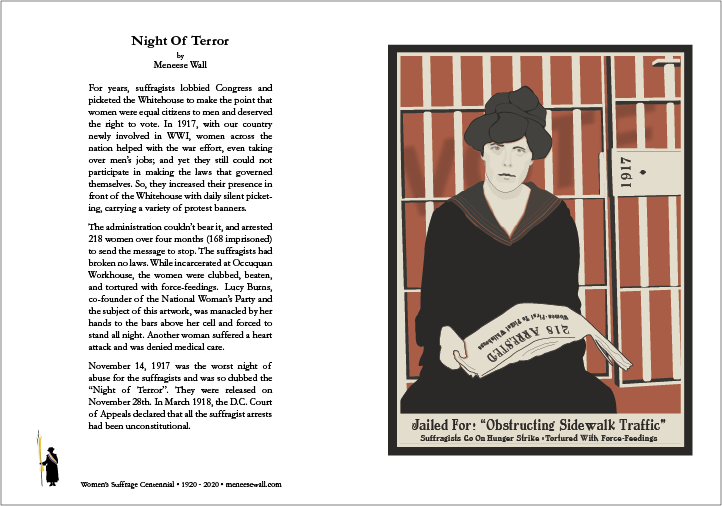 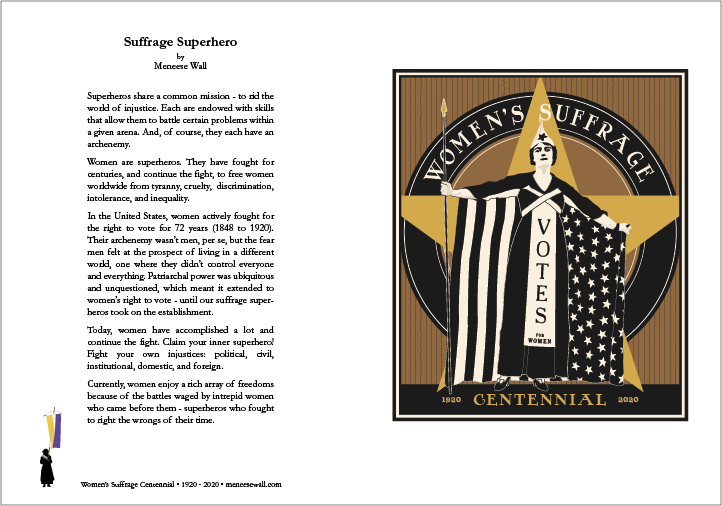 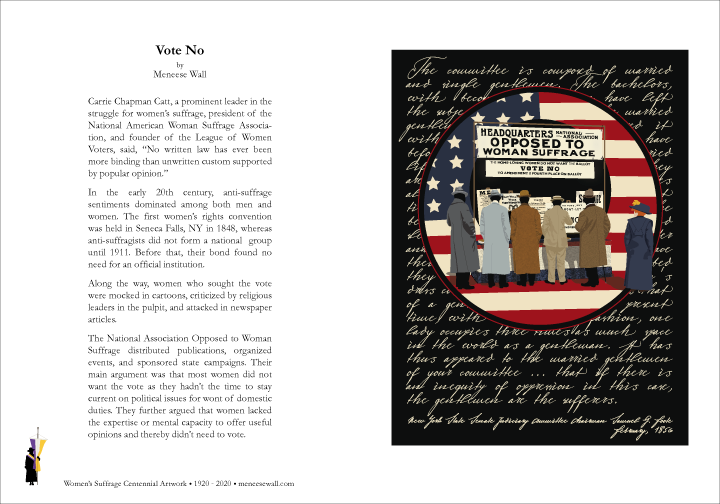 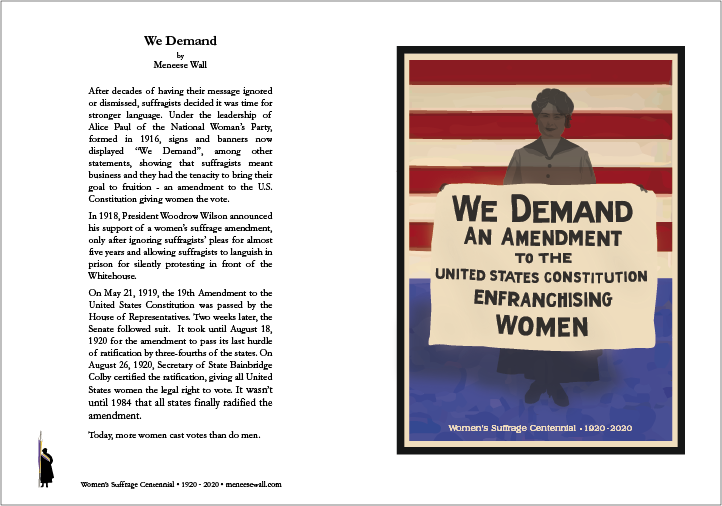 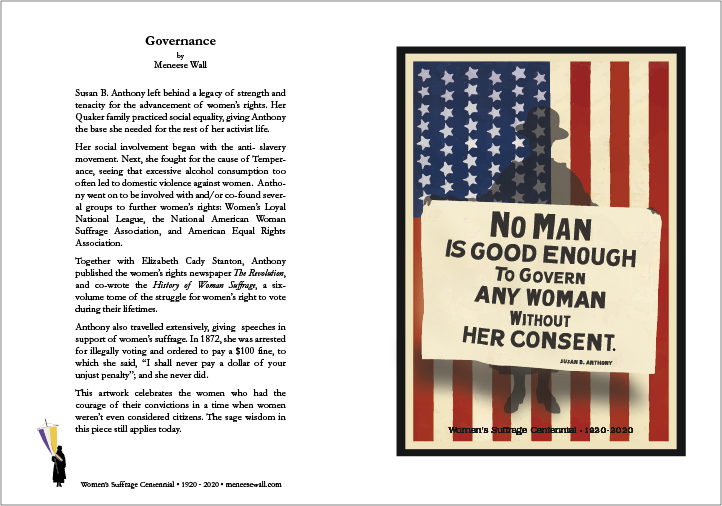 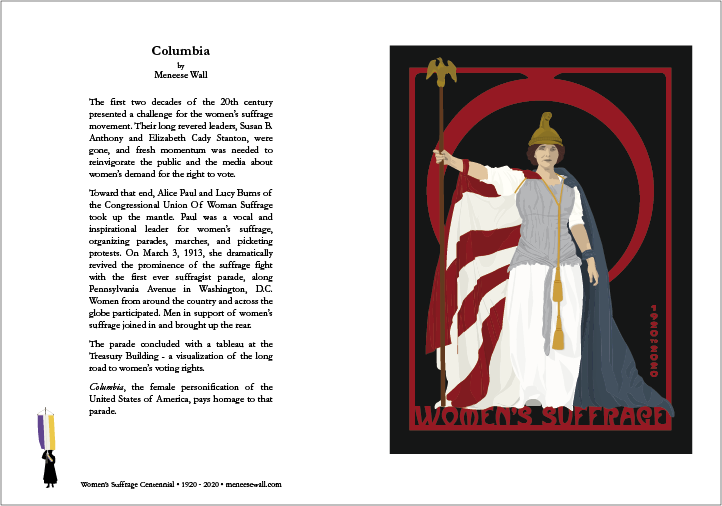 Meneese Wall, a graphic artist and designer based in Santa Fe, New Mexico, has created a series of signed art prints and notecards to commemorate and celebrate the upcoming 2020 centennial of the 19th Amendment’s passage. 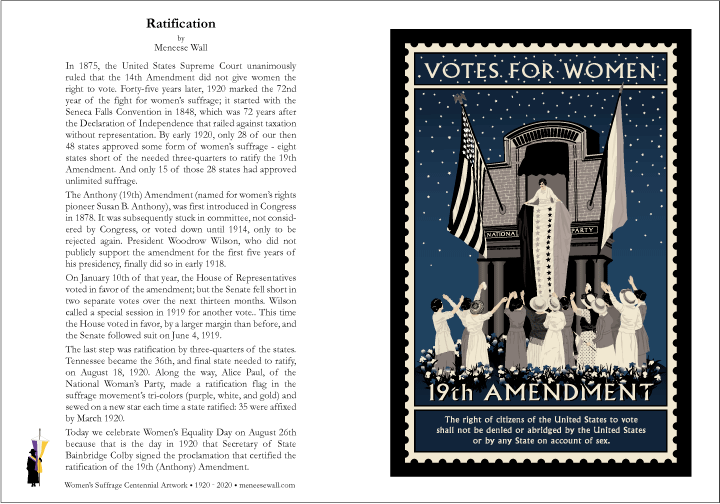 Inspired by historical events, people, quotes and memorabilia from the suffrage movement, Meneese’s graphic illustrations are paired with text that give historical context to her work. 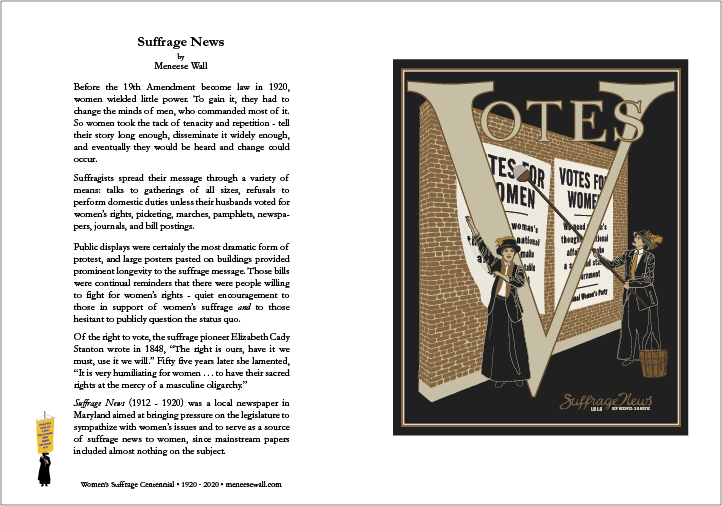 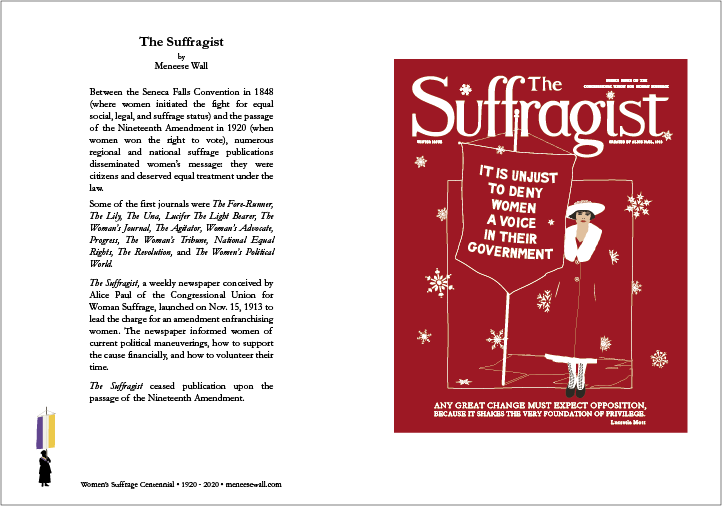 To date, Meneese has featured the likes of Susan B. Anthony, Alice Paul, and pro-suffrage journals like The Suffragist and The Woman Voter, and she continues to create new pieces throughout the lead-up to the centennial. 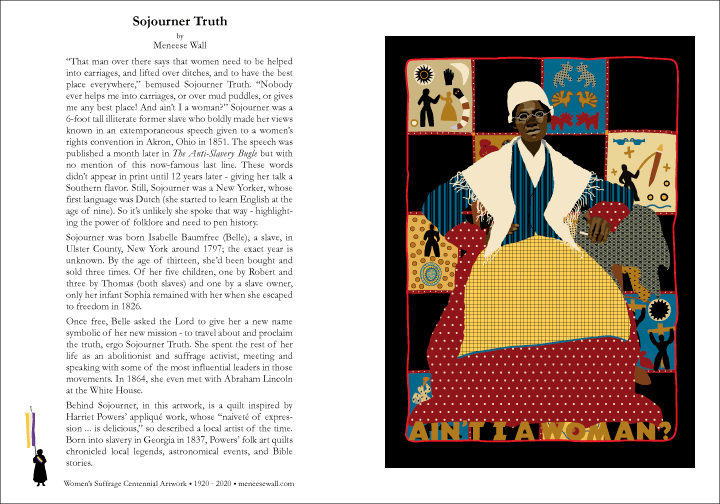 To learn more about Meneese and her work, visit her website here and her artwork catalogue here. 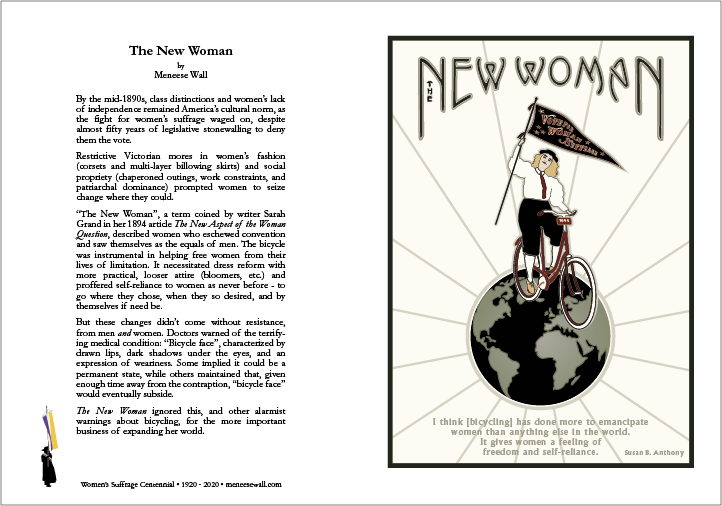 Meneese encourages communication, so you can email her at meneese@meneesewall.com.